Just fancy encompassing Everest base camp, Island Peak and Amadablam base camp in one go; everest trekkingis all about it! Mt. 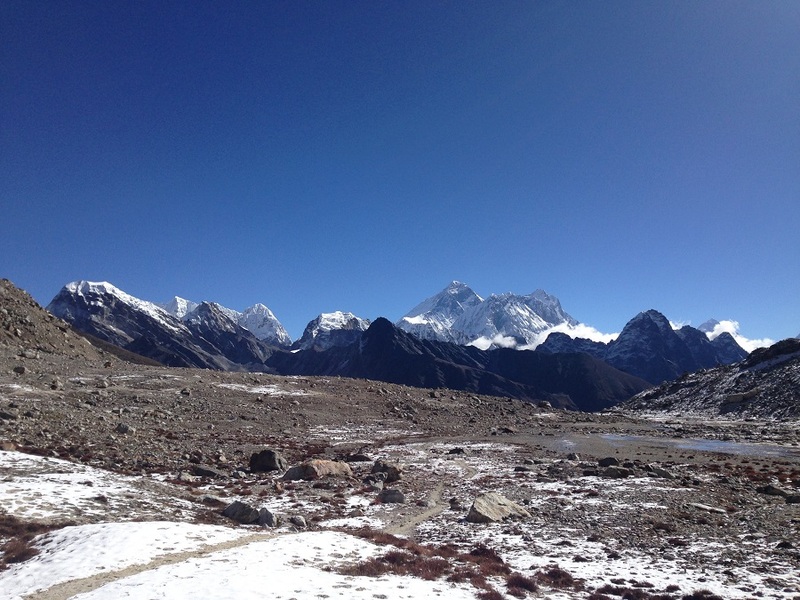 Everest, situated in the Solu and Khumbu district is justifiably renowned, not only because it encompasses Mt. Everest, the world’s highest mountain (8850m), but also because of its exotic Sherpa villages, Buddhist monasteries, flora and fauna etc. 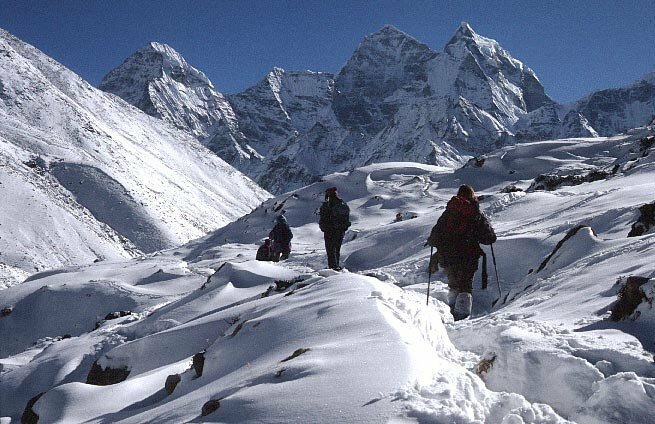 This is a real adventure trek for ALL having passion for walking in the Himalayas. To cater people of all physical capacity, we have designed this package with special attention on procedure of high altitude acclimatization walking. So, we welcome both new and experienced trekkers to collect this rare “once in life time Himalayan experience”. We stay at Namche for a second night to allow us proper acclimatization to the high altitude and to enable full exploration of the town and its surrounds. Namche is a prosperous village, situated in a large, protected hollow. It gained its importance during the period when Tibetan salt was traded for the lowland grains of Nepal. Today quite an amount of trade continues at Namche and Tibetans are sometimes seen in the village trading rugs and Chinese-made goods, clothing, salt and dried meat. It is recommended that you take the opportunity to see both the sunrise and sunset views from the national park headquarters above the village. The panorama can be stunning at both times of the day with a superb view of the Khumbu peaks, including great sightings of Everest. After breakfast there are various options, including a walk with a series of great peaks rearing to well over 6,000 meters just to the west. Alternatively you can visit the national park headquarters to see the interesting displays of Sherpa lifestyle and culture. Your guides accompany you in the walks. Another option is the steep climb out of the village bowl to the flatter areas around and above Shyangboche, Everest View Hotel where beautiful views of Everest, Amadablam, Lhotse, Tawoche, Peak 38, Thamsherku abound. From Pangboche the route enters alpine meadows above the tree line, mostly consisting of scrub juniper and tundra. We start walking on the ridges along up the Imjatse River, through Sommare village. We cross Imjatse River and start walking gradual uphills in the rough trail with the feelings of walking in the altitude .Here we arrive in Dingboche, which is a labyrinth of walls and pastures. Dingboche is the valley made by Imjatse River that flows down from the Island peak. This is the best valley to be to feel just in the lap of the beautiful Mountain Amadablam,Kantega and other peaks. ( 5 hrs ). The first section of today’s trail follows the western side of the broad Khumbu valley and ascends gently through meadows besides the glacial moraine.The ascends becomes steeper and rougher as it crosses several side moraines. After rounding a bend in the trail, the conical peak of Pumori comes into view. On the lower slopes of this mountain a ridge extending to the south terminates in a small peak, known as Kala Pattar (5545m), meaning 'black rock'. The trail then makes a short descend onto the sandy, flat expanse of Gorak Shep. 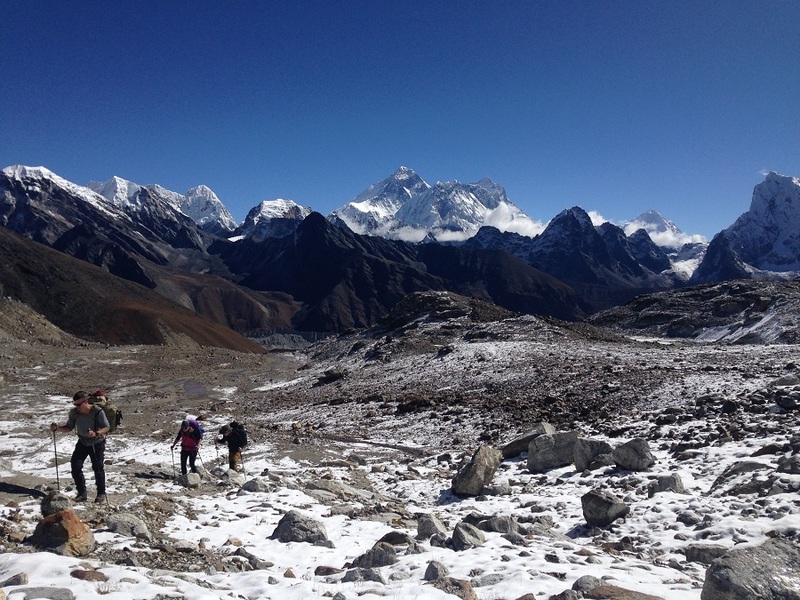 From here we continue to the current Everest base camp, which is about a 4 hours return walk from Gorak Shep. We return to this small settlement after our visit to the base camp (6 hrs). To go to Pheriche we retrace our steps back to Dughla, and then go straight downhill from the bridge to reach a lower trail, staying high above the valley floor. The views from here are great valley, meadow. You can easily recognize Lobuche Peak and the Cholatse is visible in the distance to the left of Ngazong Parbat. (5 hrs). We rise early in the morning to be ready for the arrival of our aircraft for the flight back to Kathmandu. We meet you at the airport to transfer to hotel, located in Kathmandu. You do not miss to clean yourself, laundry and rest to feel low altitude. In the Evening have a party night .Our guide can recommend you the best and memorable restaurant to experience party time and place. Leisure Time in Kathmandu. It’s indeed time for the souvenir hunting around Kathmandu’s noted places having optional trip to tranquil historic Heritages on your own or let us provide you culture expert. 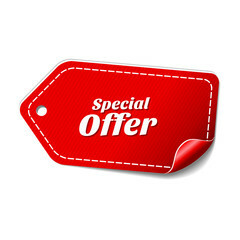 We provide extra drive and drop services. 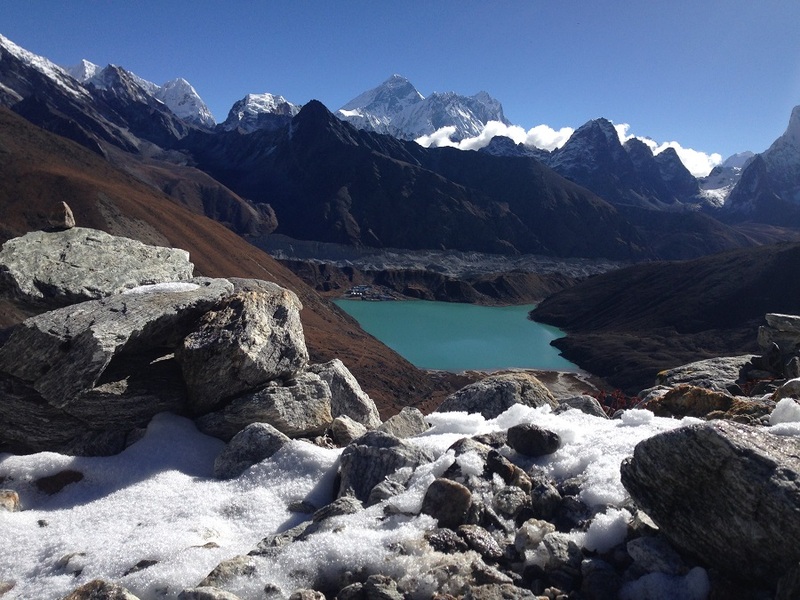 Explore Gokyo Ri in Everest Trekking in Khumbu region.